Matilija Poppy - Romneya coulteri, is a member of the Papaveraceae or poppy family that when in bloom, will catch your eye because of the large (up to 8 inches) white flowers with yellow centers. 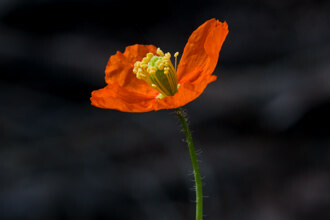 The flower is the largest of any plant native to California. 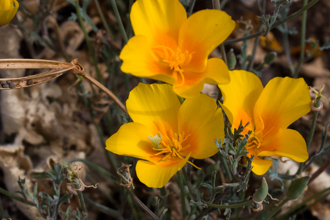 Matilija Poppy is endemic (found nowhere else) to California and at one time was in the running for the state flower of California - coming in second to the California Poppy Eschscholzia californica. 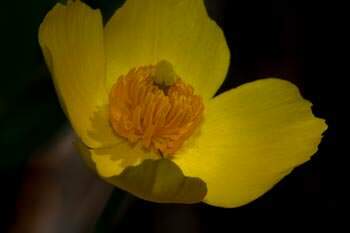 One common name for this plant - Fried Egg Poppy is based upon the appearance of the flower. Looking at the flower it is not hard to see the resemblance to fried eggs sunny side up. This plant is a Perennial that grows via rhizomes and a known fire follower. Seeds require smoke for germination. Matilija Poopy has a woody base from which herbaceous stems emerge and an intricate rootball that provide for the ability to survive for more than one year. Matilija Poppy dies back to the ground after setting seed and awaits the Winter rains before sending up new growth. Various sources indicate the plant can grow six to ten feet high. I have seen them at least eight feet in height at the King Gillette visitor center. I would encourage you to seek them out during the Spring. The plants grow next to the parking lot and when in bloom the display will amaze you. The plant has pleasant fragrance as well. Seeing the plant in large numbers could make it easier for you to detect the fragrance. 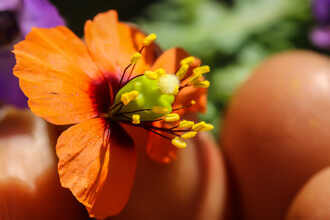 Flowers have three sepals and six crinkled white petals with many yellow stamens. The leaves alternate on the stems and are variable in number of lobes and size. The seed capsule is interesting. As the seed grows, the capsule will open to reveal a birdcage like structure under the covering. 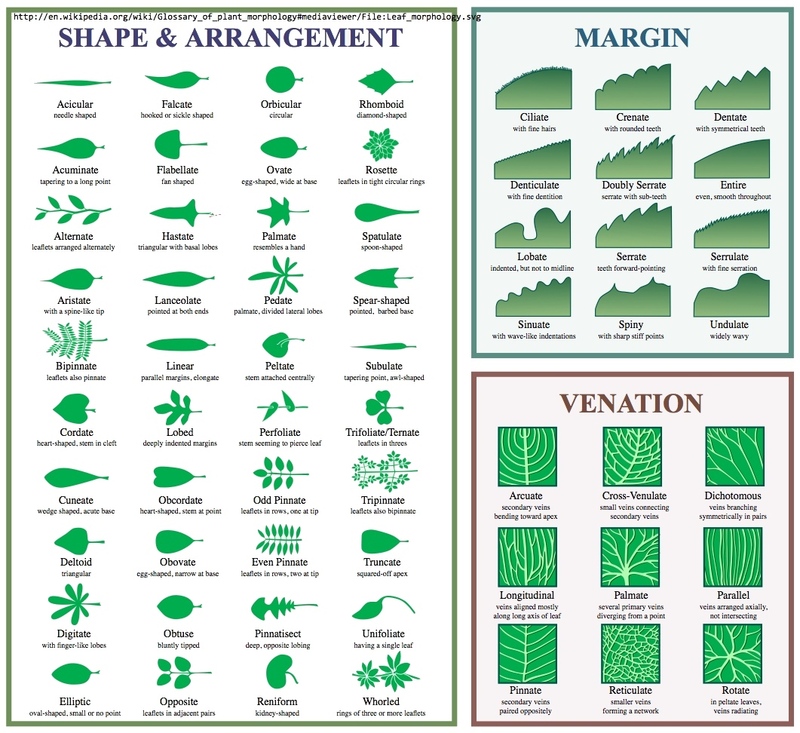 Botanists use the word “glabrous” to describe the fact the leaves and stems are hair free and smooth. One look at a Prickly Poppy and you see the difference between the two. 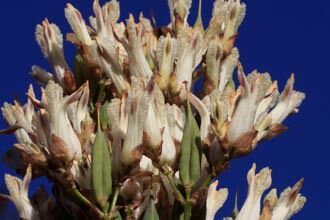 Medicinal Uses: The Native Chumash Indians are reported to have valued the plant for its medicinal value. The plant was used medicinally for skin and gum problems and stomach upset. As a reminder, the plant produces this sap to deter animals from browsing its leaves. Matilija Poppy is native to California and Northern Baja California but the plants in the Santa Monica Mountains are likely transplants and can be considered clones. The plants were collected from other areas of the state and transplanted. Nearly every internet source describes how the plant is grown from a cutting and to make sure that you are aware that this plant spreads underground quickly and can overwhelm a location. •	Rom'neya: the namer of the plant Romneya coulteri, the matilija poppy, wished originally to name it for Dr. Thomas Coulter who first collected it, but the name Coulteria was an already established genus, so he decided to honor him instead by selecting the name of his great friend and fellow Irishman Dr. Thomas Romney Robinson (1792-1882), a prominent astronomer, for the genus, and that of Dr. Coulter for the species. 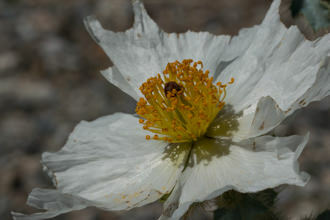 •	coul'teri/coulteria'num: named after Dr. Thomas Coulter (1793-1843), the Irish botanist, who was in California 1831-32, discovered the Colorado Desert, first collected the Matilija Poppy and other plants. He collected with David Douglas in California in 1831-32, where he first described the pine that now bears his name. Last modified: June 19 2017 11:07:44.